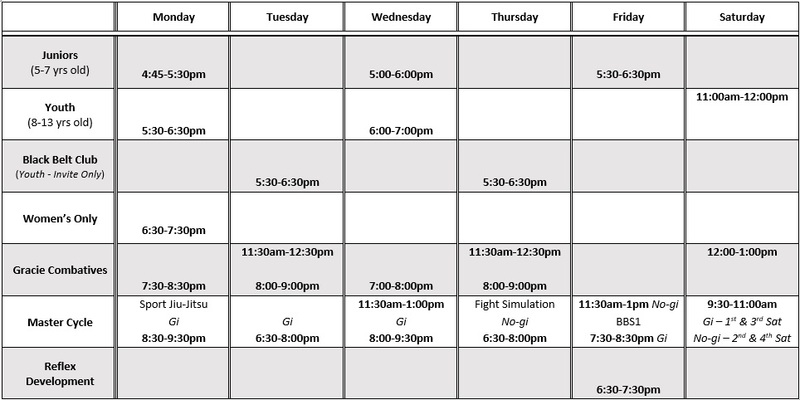 If you are looking for the Gracie Combatives Lesson Calendar, please click here. We are open and operating on our normal schedule. A clean white uniform is required for all classes, except *No-Gi* classes. Proper no-gi attire is required, Gracie Academy Rash Guard or T-Shirt, and Grappling Shorts. Fight Simulation class requires 16-18 oz boxing gloves, 5.5-8 oz open finger gloves, and mouthpiece.